I was obsessed with the Oregon Trail when I was younger! Check out this video from the Smithsonian! Today is John F. Kennedy, the USA's 35th President's birthday. Below is a short bio of his life. 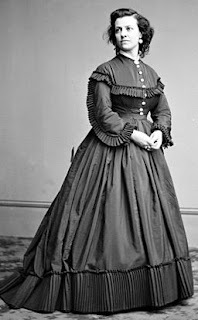 Today’s post takes a look at several female spies of the Civil War era. Driven by fierce loyalty, women on both sides of the conflict faced incredible risks to gather intelligence that help defeat the enemy. This month, the focus is on some of brave women who spied for the Union. Elizabeth Van Lew ~ The true story of the Richmond, Virginia matron known as Crazy Bet was the inspiration for the cagy spymaster in Pistols, Parasols & Passionate Little Lies, the second book in my Secrets & Spies series. Abolitionist Elizabeth Van Lew capitalized on her eccentric personality while she operated a spy ring out of her Richmond home. 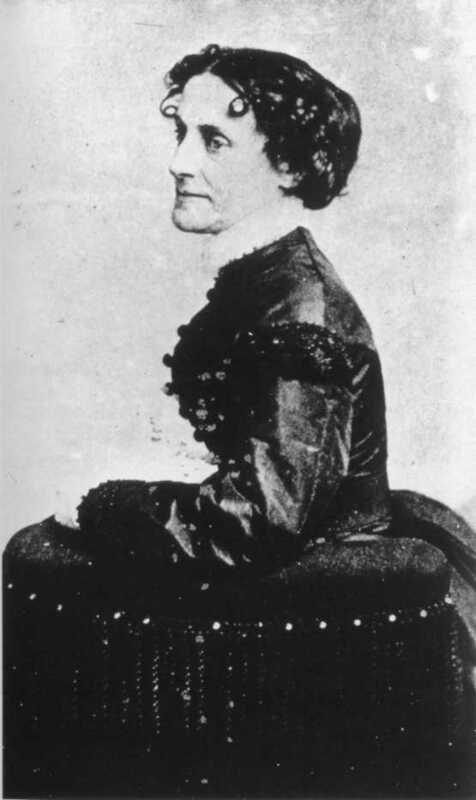 While making visits to provide aid and food to Union prisoners at Libby Prison, she was able to funnel information to the inmates and aided those who managed to escape. Pauline Cushman ~ Actress Pauline Cushman served as a Union spy behind enemy lines, using her charm and acting skills to gain access to intelligence. Caught with Confederate battle plans, she was tried and sentenced to hang, but narrowly escaped execution. After her rescue by Union forces, she was honored by President Lincoln and awarded the rank of Brevet-Major by General James Garfield. Harriet Tubman ~ The renowned Underground Railroad conductor served as a spy behind the Confederate line during the Civil War, establishing a spy network of former slaves. 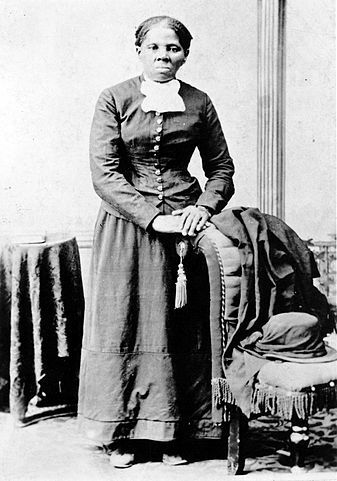 In 1863, she became the first American woman to lead a military expedition when she led a raid to free hundreds of slaves from rice plantations along the Combahee River in South Carolina. Sarah Emma Edmonds ~ Disguised as a man, Sarah Edmonds (under the alias Frank Thompson) enlisted in the 2nd Michigan Infantry as a male field nurse. 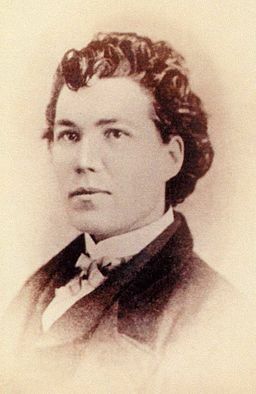 She later is said to have served as a spy, infiltrating the Confederate Army behind enemy lines using a variety of disguises, including the persona of an Irish peddler named Bridget O’Shea and dyeing her skin with silver nitrate to affect the persona of a black man named Cuff. https://www.nps.gov/resources/person.htm?id=76 All photographs are in the public domain. Pirate ships were well equipped with weaponry. For any ship worth its reputation, shipboard guns were an important part of the arsenal. It was these guns that waged war, won battles, and kept crews alive. But they were more complex than just cannons that go boom. First and foremost, cannons were not cannons aboard a ship. They were called guns. And the projectiles they fired were not cannon balls, rather they were shot. Guns were made from cast iron or sometimes bronze. Iron guns were subjected to corrosion from saltwater causing misfires or the lodging of the shot. Bronze guns were expensive to make. The longer the barrel of the gun, the farther it fired. Well, sort of, since the farther the distance the greater the inaccuracy. The guns could weigh anywhere from a few hundred pounds to several tons. Smaller guns, such as swivel guns, could be fastened to the ship, but the larger guns were mounted on wooden carriages. These big guns were identified by the weight of the shot they were made for. It was common for ships to carry 8-pounders, 12-pounders, 24-pounders, 36-pounders, and higher. There are a variety of small calibers, too. Those suckers on carriages were big, weighed a ton (literally), and were dangerous. Smooth sailing did not apply with guns on board. They had to be lashed down to prevent rolling. Gun tackle (ropes) were tied to both sides of the carriage. In addition, a breeching rope was tied to the knob at the rear of the gun (called a cascabel) and fastened to the ship’s hull (wall). The breeching rope gave way just enough for loading. It also helped prevent the gun from recoiling with such force to snap the lashing ropes – a term called jumping its track. More rope was used to pull the gun up to the gun port. This rope, known as the train tackle, was attached to an eyebolt below the cascabel. Seriously, it took four to five men per gun working in synchronicity to fire. Men had assigned guns which totally makes sense when avoiding additional chaos in the heat of battle. After the gun was unlashed, hauled inward, the gun ports opened, and the equipment used for priming and loading were in hand, the real work commenced. cloth. Once the gunpowder was in, it was followed by a cloth, paper, or sometimes hay wad, packed in using a ramrod. Shot and another wad (to prevent the shot from rolling out) were rammed in next. 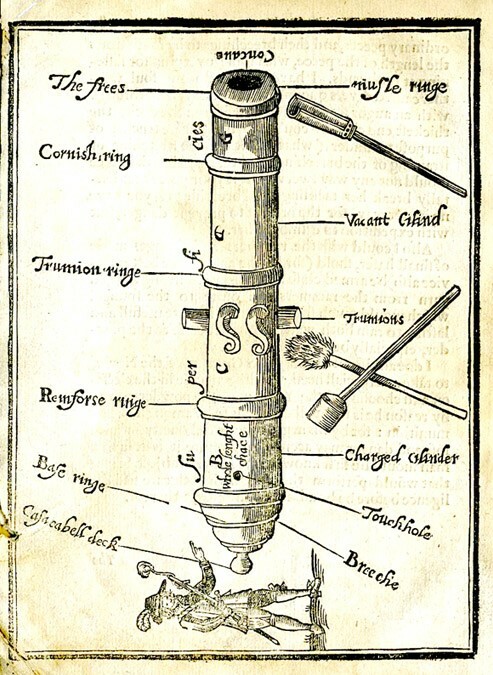 A priming iron was used to clear the touchhole of residue and, if using a cartridge charge, pricked open the charge to expose gunpowder. The touchhole was filled with more gunpowder. The men adjusted the gun’s height using a quoin—a wooden wedge with notches on the carriage. 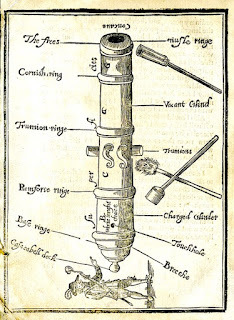 A two to three-foot lintstock with a slow burning match was then set near enough to the touchhole to ignite the powder. Bam! A good gun crew familiar with their weapon could swab, load, aim, and fire a gun within two to five minutes. Huzzah, ye sea dogs! Aside from spherical balls of varying size and weight, pirates (and naval crews) were creative in their deadly projectiles. And these are just what was used in the guns. 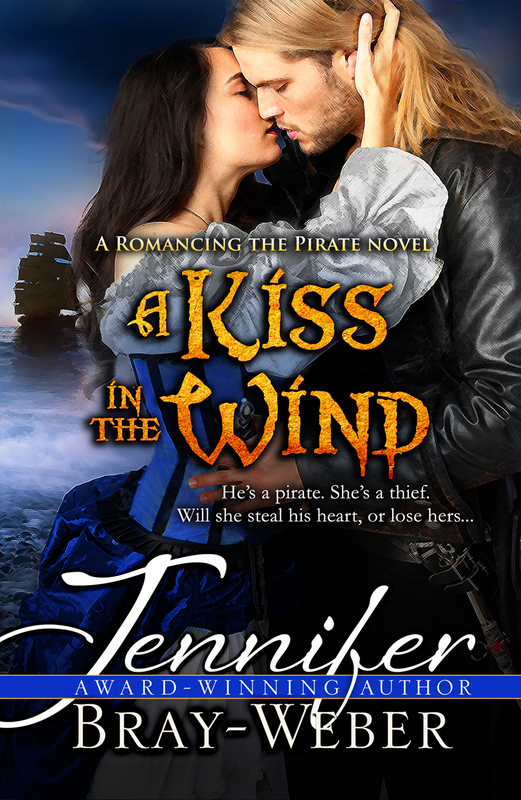 Weapons used by pirates were extensive—a topic for another post.